We found all of the Digestion, Nausea & Antacids coupons available online and put them all on this page so it's super easy to find and print the coupons you want! 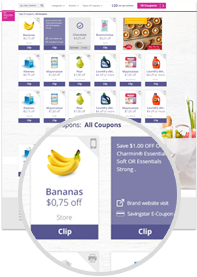 NEVER MISS ANOTHER DIGESTION, NAUSEA & ANTACIDS COUPON! Save $4.00 off ONE (1) Zantac® 75mg 30 ct. or larger. Save $4.00 off ONE (1) Zantac® 150mg product 24 ct. or larger.